← Lemon Curd…perfect summertime treat! 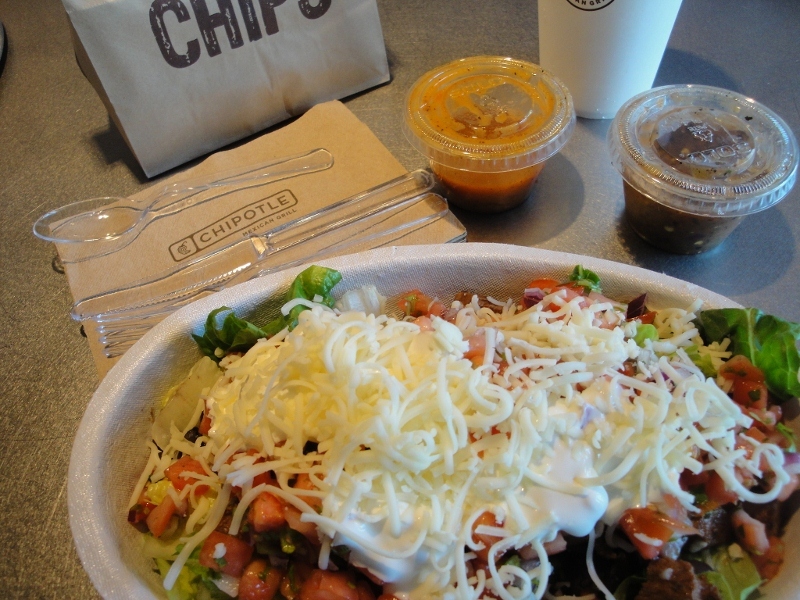 Are you a fan of Chipotle Mexican Grill? Over the years as a stay at home mom & homeschool mom, budget is the main reason we don’t eat out very often. As time has gone by and I’ve gotten to be a fairly good cook, we’ve really started to prefer the meals we eat at home. 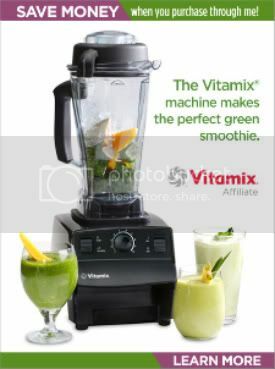 Add in the fact that you control the quality of the ingredients and the cleanliness of the kitchen (so many places our minds could go if we let them :), and the “eating at home” experience becomes SO attractive! Let me just take a moment to say, if you’re struggling with your budget these days…..take a look at how much your family spends eating out. It’s amazing how much those meals cost for a family of 5. You could really see a huge improvement in your budget with just cutting back on eating out. Think of how much food you could buy for that $50 or $60! And that would be a conservative estimate for one meal out. That’s with trying to order wisely and everyone drinking water. See…..it adds up! So now that I’ve thoroughly tried to convince you to eat at home…..it’s funny that I’m going to share with you one of my rare restaurant experiences. But the background will explain why I’m always SO late in the game with trying out places that have been around for years….like Marble Slab. This time it’s a place I’ve heard others rave about for at least 8 years now….Chipotle Mexican Grill! In my defense we didn’t have one in our area, and I don’t get out much 😉 But finally one opened up a few miles from my house, and I knew it was only a matter of time before I stopped in to see what all the fuss was about. So this past May hubby & I popped in on a date night (we don’t get out much either) on our way to Barnes and Noble. I’d done enough research to know that Chipotle (as stated on their website), “has a commitment to finding the very best ingredients raised with respect for the animals, the environment and the farmers.” I was very impressed, and knew I would be getting fresh, quality ingredients. Read more about Chipotle’s Food with Integrity policy. Right away I was struck with the cleanliness of the store, and how streamlined and modern everything appeared. Things were simple, but simple didn’t mean they lacked attention to detail…wait till you see these ingredients! It was a place that felt comfortable and inviting. I ordered the Steak Salad Bowl, and was VERY impressed with the amount of food I was given and the selection of items to add. I started off with a base of romaine lettuce (instead of chips) and then added steak. I topped that with black beans, freshly made guacamole, shredded cheese, sour cream and pico de gallo. For $5.95 it was an incredible deal!! I also ordered a bag of chips and salsa for $1.65. Look how much food I received…..easily 2 meals in one. Couldn’t you just dive right in? And a little closer………….just look at that cheese! Now I’m surprised to find that when I mention Chipotle to others I wasn’t actually the last kid on the block to find out or experience Chipotle. Really? How could that be? Either way I kind of describe it as a Mexican version of Panera Bread (another restaurant I speak highly of). 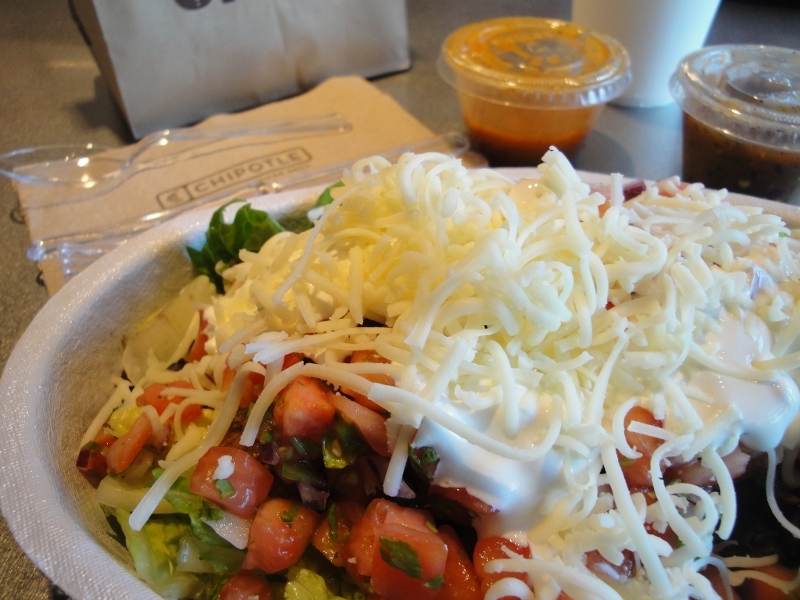 Now you fill me in……Are you a fan of Chipotle? What’s your favorite item to order? Do you have one in your area? Are their other “non-fast food” restaurants you’d recommend? *There are two easy ways to make sure you never miss a post here at Creative Kitchen. Subscribe by email for FREE, and get reminders delivered right to your inbox (sign up in the sidebar), or LIKE Creative Kitchen on Facebook to see recipes & posts come through your newsfeed. Sharing this post with friends with the “Facebook recommend” button below is much appreciated! Thanks!! 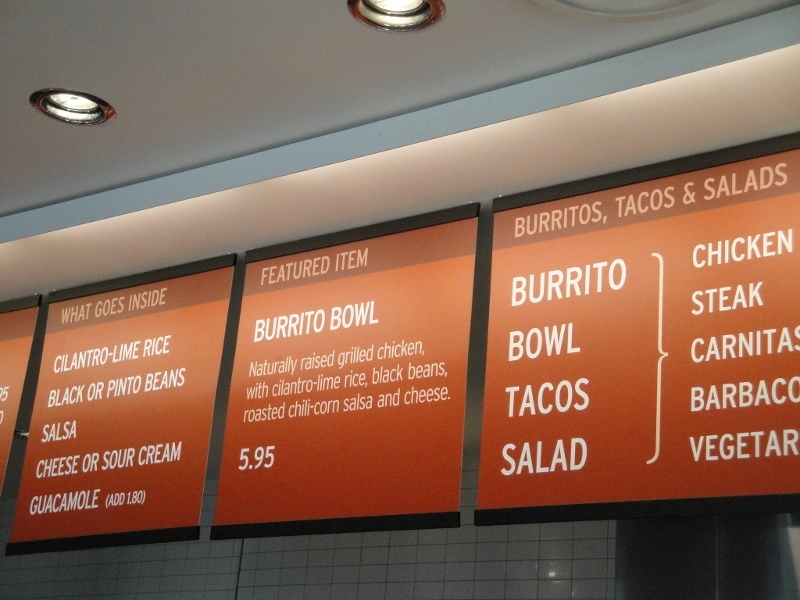 11 Responses to Are you a fan of Chipotle Mexican Grill? We are trying to stop eating out for the very reasons you stated–money, control over the quality of our foods, and we love home cooked meals. But, we are SOOOO busy all the time and Chipotle is always one of our stand-by weeknight traditions–we seriously end up there almost once a week. Yes we are fans of Chipotle’s and eat there when we can. My daughter and I will split a burrito, or we take our half bowl, or burrito back home for lunch the next day. I’ve made their cilantro rice, and I want to make their spicy pork and chicken and steak for that matter. I love how fresh everything is, and they make the guacamole fresh each day! Chipotle is a favorite as far as “fast food” goes in my opinion. We are all happy when we go there. My favorite is the salad bowl. I have them put every vegetable in there, peppers, onions, beans and all the salsas and guac! So filling in such a good way! I LOVE chipotle!!!! I always get the fajita bowl it’s so good. I would eat anything there and have tried most over the years. I don’t go very often now that I live in the city they are harder to get to. Meaning parking is hard lol. I love their soft tacos! So good! I am indeed a fan of Chipotle. My family started going there because of their committment to local and sustainable food. I can’t go to a restaurant unless they provide food as clean as I would at home. I am a big fan of chipotle when I am in a pinch and need to eat out. Another place I have recently discovered that is similar is Moe’s Southwest Grill. They have grassfed steak in their fajitas!! I wish Chipotle’s beef was grassfed too. Now if only they would both start using coconut oil instead of the vegetable oils, then I would be in heaven!! I work in a restaurant kitchen and probably order out more than I should. I always see a difference in my month end checking balance when I cook more. The endless stream of delivery menus pushed under my apartment door does not help LOL. I am not a big fan of most chain restaurants but Chipotle is an exception. Good food and good prices. I could live my remaining life at Baja Fresh. No can openers, no microwave and if I remember right they advertise no freezer. The food was fabulous and the salsas were out of this world.